Michael B. Jordan to Star in Methuselah for Warner Bros.
Michael B. Jordan has set his sights on yet another prospective franchise. According to Deadline, Warner Bros. has recruited Jordan as the latest actor to headline their long-gestating Methuselah film. Warner Bros. has been developing Methuselah for at least a decade. The film was originally supposed to star Tom Cruise as a man who has lived for hundreds of years, using his time on Earth to amass vast stores of knowledge. Deadline indicates that the film is going to be re-developed now that Jordan is taking over for Cruise. This will most likely be done to better suit the former’s personality. The report also suggests that the movie has “a Highlander-like mythology and franchise potential,” so it could inspire sequels if successful. Jordan will produce Methuselah through his Outlier Society banner alongside Jeffrey Clifford and Heyday’s David Heyman. No writer or director is listed as being involved with the current incarnation of the film. However, Zach Dean, Tony Gilroy, and Joachim Rønning were attached to previous versions. 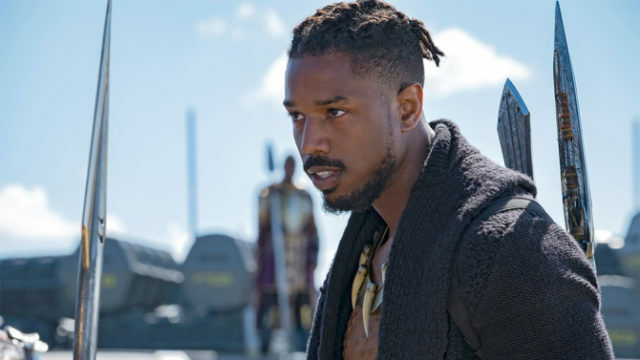 After his acclaimed turn as Killmonger in Black Panther, Jordan seems to be charting a future for himself in the realm of sci-fi and fantasy projects. He currently voices the main character on the Rooster Teeth animated series gen:LOCK. Just last week, it was announced that Jordan will produce (and possibly star) in a new monster movie helmed by Kong: Skull Island director Jordan Vogt-Roberts. Jordan’s production company also recently secured the film rights to Black Leopard, Red Wolf, the new fantasy novel written by Marlon James. What are your initial thoughts on Warner Bros.’ Methuselah? How do you feel about Michael B. Jordan playing the lead role? Tell us what you think in the comment section below! Tags: Methuselah, michael b. jordan, warner bros.